Become your own health, fitness, and nutrition Expert! 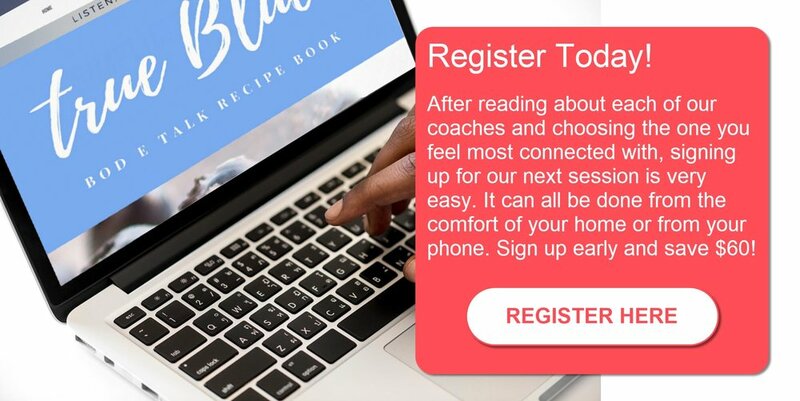 Join us for an online Program that helps you discover your weight loss language with no calories, macros, or points to count. Bod E Talk creates a 24-hour support group from both coaches and other Bod E Talk team members. You never have to wait long to get an answer to a question or a mini pep talk.